Bill and guests sit down each week with figure in hand with the mission to appreciate the simple style and heroic action of the Star Wars SH Figuarts line in its entirety, one figure per episode. The DorkLair takes a look at all the hits and misses in the line, including honest criticism and which figures to skip completely. Often there is opportunity for comparison between other lines in similar scale including Hasbro’s The Black Series and Medicom’s MAFEX lines. In addition to the feature figure, Bill and guests cover announcements, pre-orders, exclusives, new releases, collecting tips, and hunting strategies. From casual Black Series collectors looking to learn about imports for the first time, to SH Figuarts completionists seeking in-depth talk about their favorite releases, the DorkLair is a perfect place to enjoy import collecting. In episode eighty-seven, former guest host Nick Hill returns to the show to tell the hosts all about his trip to Star Wars Celebration Chicago. Check out the DorkLair YouTube channel for Bill's review of the the Bandai Movie Realization Samurai Stormtrooper. News this week includes Hellboy, Aquaman, Mythic Legions, and lots more. "Master of the Hunt" will help collectors keep track of bargains, releases, restocks, and buy-nows. Don't forget to pick up your DorkLair t-shirt, available on TeePublic. Follow the DorkLair Instagram for more weekly questions to connect with the show. 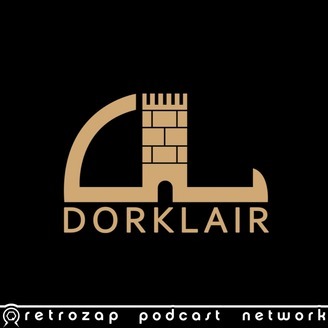 Come hang out with the DorkLair hosts and listeners in the RetroZap Discord server, and get up-to-the-minute action figure news and drama-free collecting chat. Email the show at podcast@dorklair.com with chat topics and news you'd like the hosts to discuss. The feature figure this week is the Mezco Sovereign Knight Batman Onyx Exclusive. 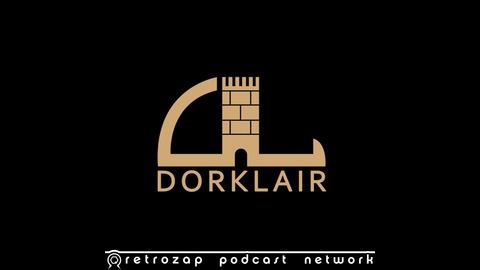 Hear Bill and Chris's review on the latest episode of the DorkLair. And head over to the DorkLair YouTube channel for more action figure reviews.